light night rains: Lyrebird - now available! 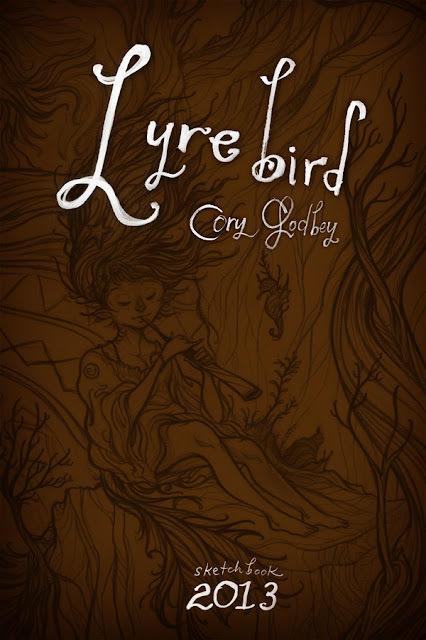 At long last my 2013 sketchbook, Lyrebird, is now available online! Here is a video tour of the book. All 54 pages. Lyrebird represents the sixth entry in yearly sketchbook series. 6 x 9. Soft cover, perfect bound. 54 pages. Thank you for supporting my work! By picking up Lyrebird you help to fund this and other personal projects like it. I can't thank you enough for that. You got a really useful blog. I have been here reading for about an hour. I am a newbie and your success is very much an inspiration for me..